Would you like to stay healthy and energetic? If you want to spring into action – we will support you ! Prevention means ‘ a stitch in time saves nine’. Most illnesses are not inherent but develop in the course of time. Everyone has the chance to guard against possible illnesses (primary prevention). In addition to individual behaviour, changes in environment can also contribute to reducing further health risks. Treatment and healing chances are very good if an illness is detected early on. Regular early detection examinations and measures can be helpful (secondary prevention). 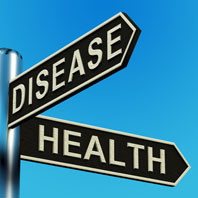 Even with serious diseases a lot can be done to counteract a worsening of the disease and prevent consequential damage. 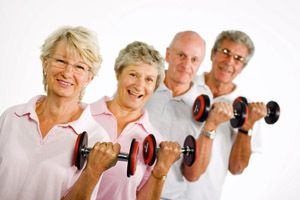 The state of health can be stabilized with rehabilitation (tertiary prevention ). For many prevention courses in movement, nutrition or coping with stress you can get a subsidy from your insurance. Our trainers are highly qualified and have many years of experience in these areas.The facilities and training concepts are technically and logistically very high and meet the requirements of the health insurance companies. Nutrition courses on different themes: losing weight, change of eating habits due to incompatibilities.etc.